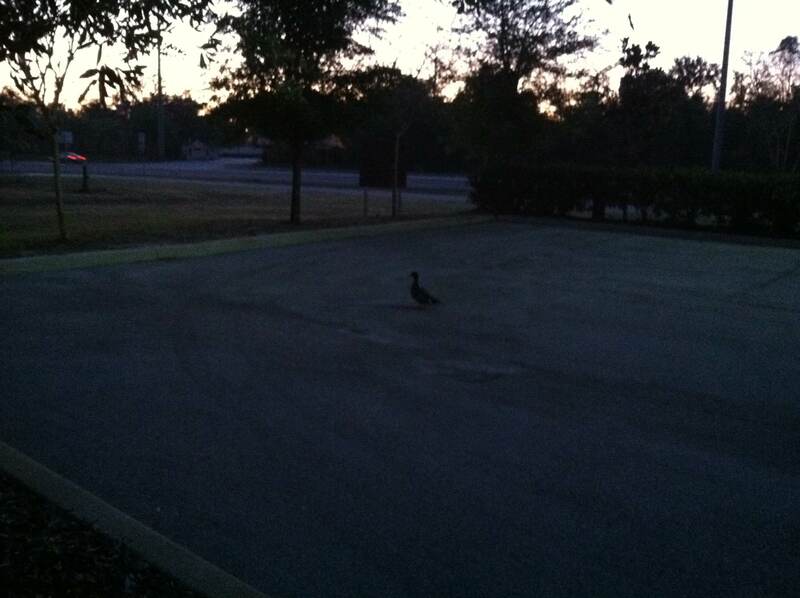 Ever wonder if there are gangs of ducks roaming the streets at night? Shady characters in the parking lot. I made some pantry cleaning, chicken stew. My new yard passed the test of a very tough sod inspector. Lil’ Red and I made it back to the water. Thank you for a wonderful year!!!! This entry was posted in Health, Life and tagged blogging, exercise, food, nature, nutrition, paddleboarding, SUP, women's health. Bookmark the permalink. LMAO, so bad it’s good. Well done!!! PS ~ Happy One Year Blogging, and a wish for many more years to come! Damn it! Now I have to clean the shower….. Are you little red riding chick? Good thing there are not wolves is these hills! He is a cute little guy. And, easily bribed with carrot bits. I saw geese yesterday. That’s close enough to duck for me. C) Why do people say heads up, when what they mean duck? My name is Kevin Gillespie, I do, MUCH prefer however to be called Kev. :). I live in Wales. Pleased to meet you, :).